Last year Nebraska VR provided employment services to nearly 7,000 Nebraska residents with disabilities. 2,026 individuals were successfully employed. We want to be "where your future begins" and are committed to making sure the way we do business aligns with that vision. Nebraska VR helps individuals with disabilities prepare for, find, and keep a job. Nebraska VR helps businesses recruit, train, and retain employees with disabilities. Nebraska VR works with schools and other organizations to help students plan for the future and prepare for the world of work. Through strong and meaningful partnerships we create a network of services and supports to provide opportunities for people with disabilities to succeed. Nebraska VR has offices across the state to meet the needs of job seekers with disabilities and businesses seeking to hire qualified candidates. The video series demonstrates how Nebraska VR partners with business and other partners through individual success stories. 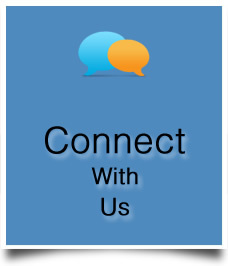 Drop us a line, check our calendar of events, or follow us on social media. 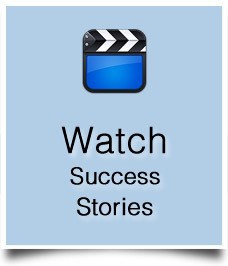 We help people with disabilities prepare for, find, and keep jobs. Through this "dual client" approach, we assist individuals with injuries, illness, or impairments achieve competitive employment and increased independence. We also assist business owners and employers through full service business consultation on a variety of business and disability-related areas. Please note: On December 13, 2017 Nebraska VR entered into Order of Selection. Under Order of Selection, priority will be determined during the eligibility process based on how significantly your disability impacts your ability to work. Individuals with the most significant disabilities are selected first to receive vocational rehabilitation services. Order of Selection Update: As of Monday, April 23, 2018 Priority Group 1 is closed. Nebraska VR (Vocational Rehabilitation) in conjunction with the Nebraska Department of Education Office of Special Education requests proposals for the development and implementation of innovative short-term programs to provide career exploration and personal development opportunities for transition students with disabilities during the summer of 2019. The Workforce Innovation and Opportunity Act (WIOA) mandates that VR agencies set aside 15% of their budgets for pre-employment transition services. One of several initiatives in the area of pre-employment transition services includes this RFP. Funding is contingent on the availability of federal dollars. Nebraska VR intends to contract with a limited number of qualified applicants for a period up to 5 months (April 2019- August. 2019) to develop and implement Pre-Employment Transition Services for eligible and potentially eligible students with disabilities, aged 14-21 years enrolled in school during the 2019-2020 school year. As the state-federal vocational rehabilitation program, Nebraska VR maintains a dual customer approach, helping individuals with disabilities prepare for, obtain and maintain competitive, integrated employment while helping businesses recruit, train and retain employees with disabilities. Download 2019 Summer Transition Request for Proposals(RFP) Packet. It is the policy of the Nebraska Department of Education not to discriminate on the basis of gender, disability, race, color, religion, marital status, age, national origin or genetic information in its education programs, administration, policies, employment or other agency programs. 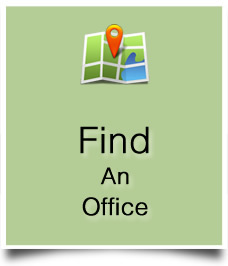 Click to view in larger window and with captions. 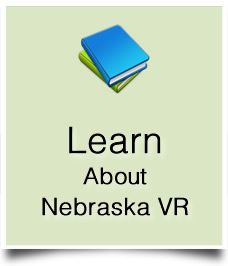 Want to know if Nebraska VR is right for you?